In this paper, fully implicit schemes are used for the numerical simulation of compressible flows at low Mach number. 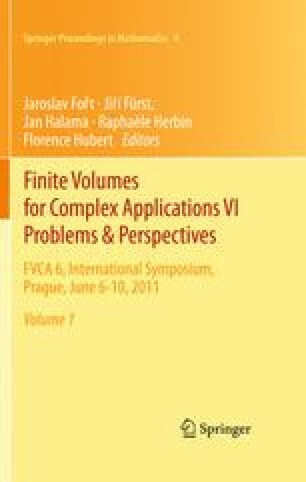 The compressible Navier–Stokes equations are discretized classically using the finite volume framework and a Roe type scheme for the convection flux. Though explicit Godunov type schemes are inaccurate for low Mach number flows on Cartesian meshes, we claim that their implicit counterpart can be more precise for that type of flow. Numerical evidence from the lid driven cavity benchmark shows that the centered implicit scheme can capture low Mach vortices, unlike the upwind scheme. We also propose a Scaling strategy based on the convection spectrum to reduce the computational cost and accelerate the convergence of both linear system and Newton scheme iterations.